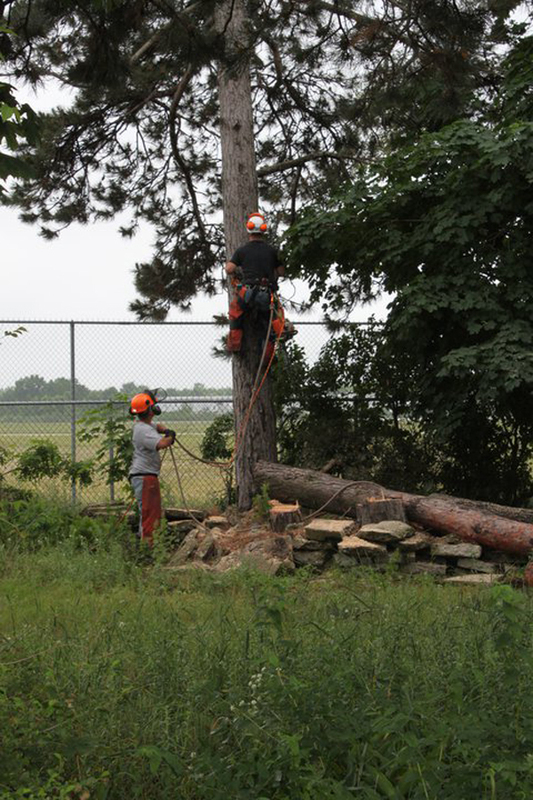 Our tree crew or tree care professionals - or even arborists - are trained to perform specific practices that relate to safe andf efficient tree care. 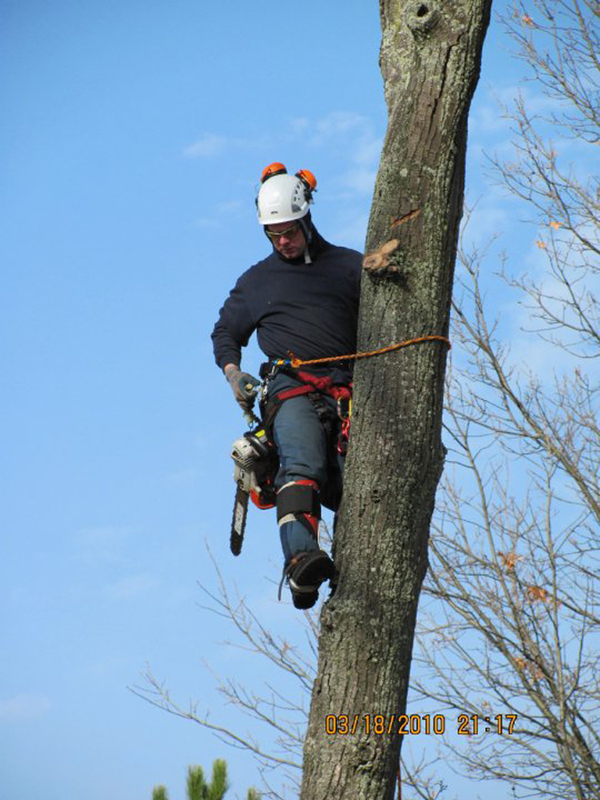 Our Arborists typically work on a tree crew made up of 2-4 arborists/arborist trainees.Some of our arborists climb the trees, but some do not. 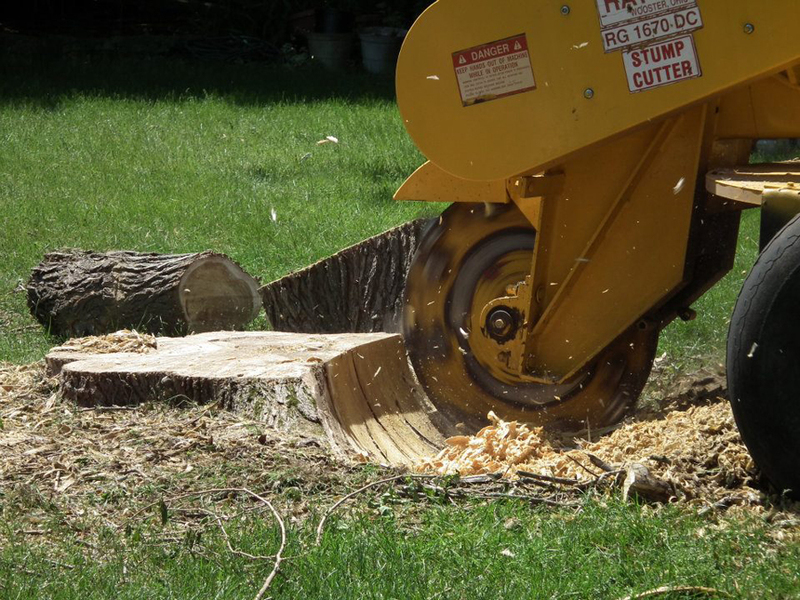 There are several tree care maintenance tasks that need to be taken care of at ground level. 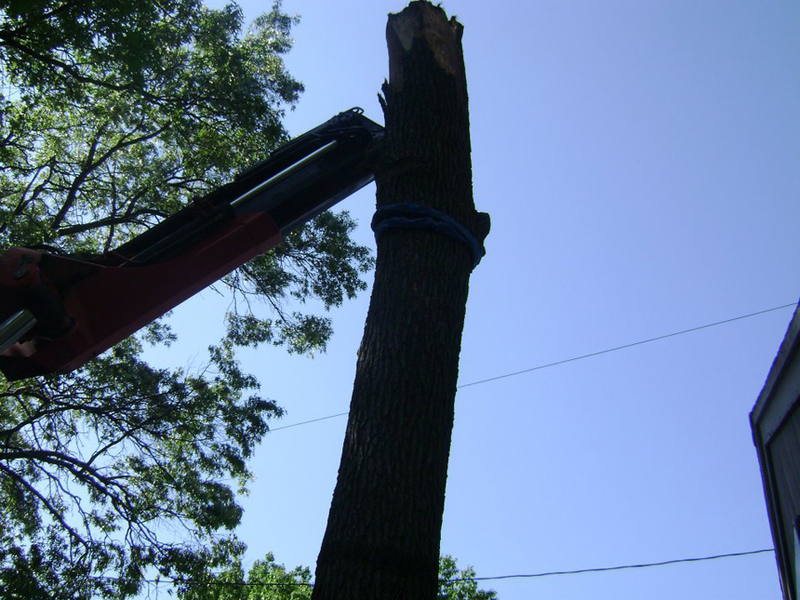 Due to the warmer weather, it is unsafe to prune oak trees. If you missed the window of opportunity fpor pruing your oak tree, please keep this pruning calendar handy so you know when it is safe to prune your trees. Our crew knows the ropes! 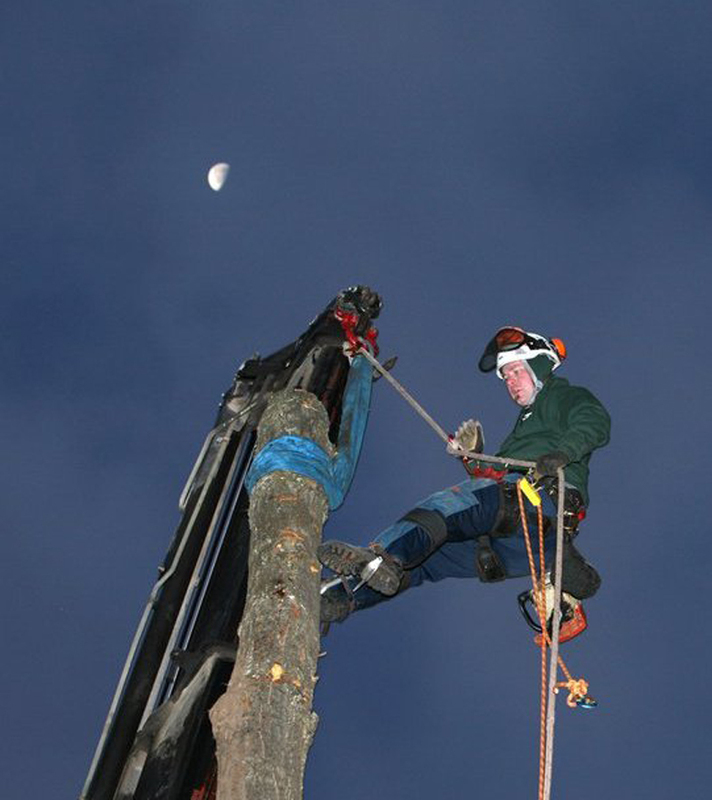 As an arborist and tree climber, we use ropes and knots everyday. It is crucial to have a thorough understanding of many different knots and their applications, as they are used in life support and rigging. 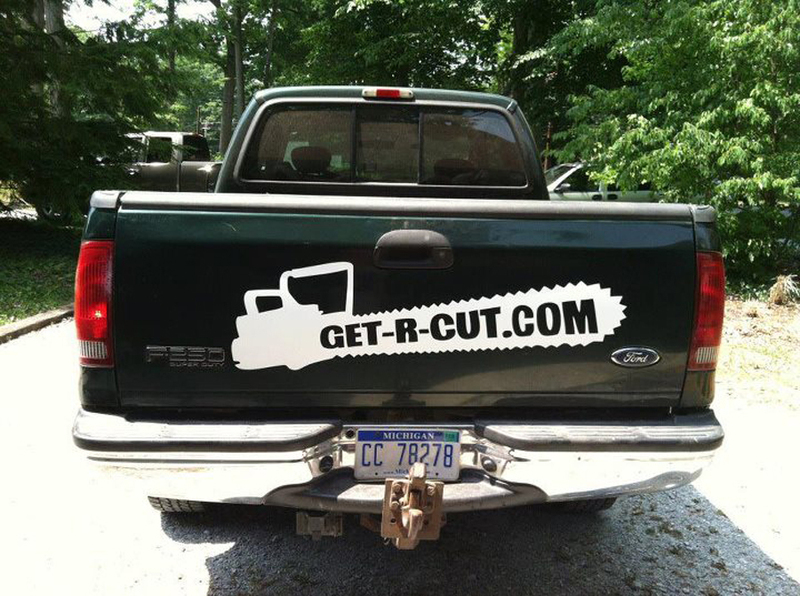 Get-R-Cut.com takes care of customers in North Muskegon too! 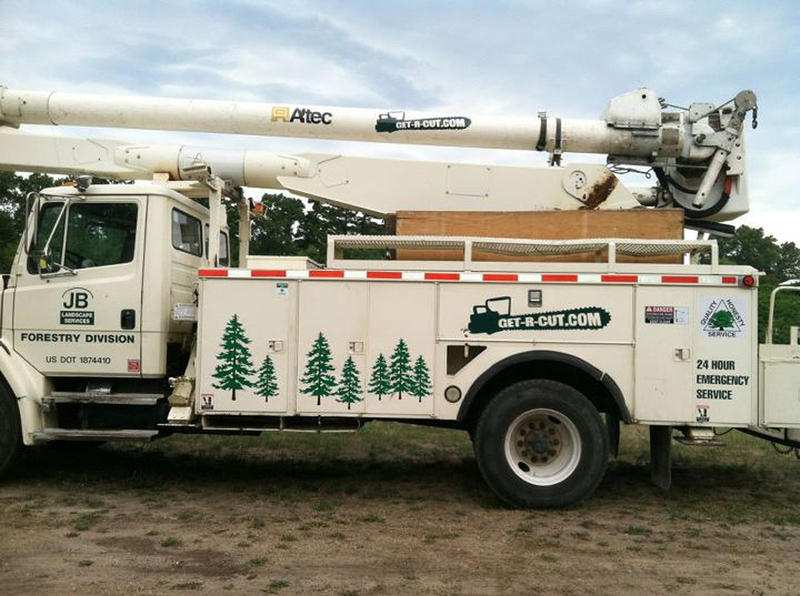 Even though we are located in Spring Lake we do service customers North of us. 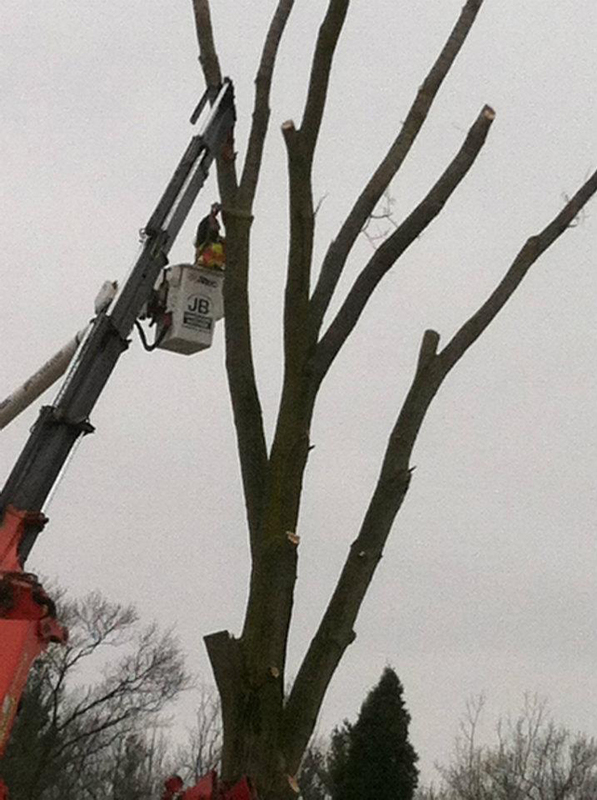 Today our crew is working in North Muskegon doing pruning and removal work. Please contact our office if you have further questions. 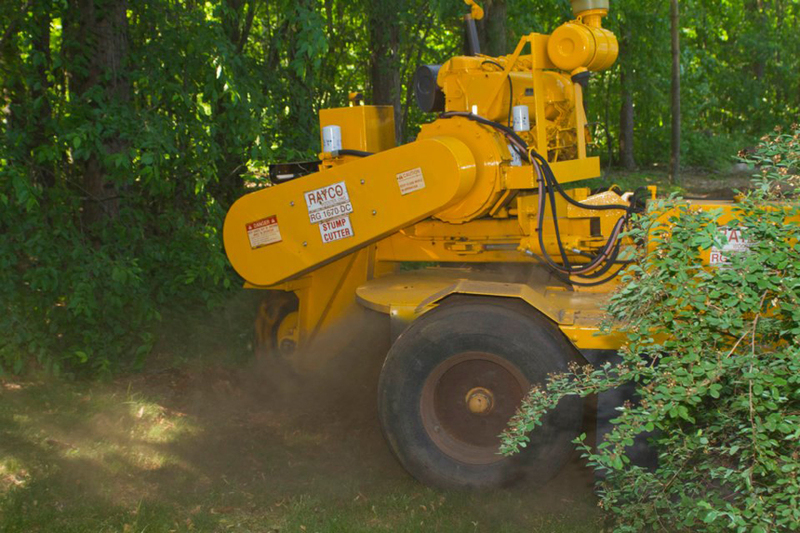 The Gypsy Moth is known to feed on foliage of hundreds of species of plants in North America. Its most common hosts are oak and aspen trees. The Gypsy Moth hosts are located through most of the US. The highest concentrations of host trees are located in the southern Appalachian Mountains, Ozark Mountains and also in the northern Great Lakes States. • The egg masses on tree boles, branches, vehicles, houses and any other structures. • Egg masses are considered to be buff-colored after they are initially deposited in late summer. They become lighter in color as they are bleached by the sun. • Egg mass size may indicate the population trend. When populations are declining, most of the egg masses are around 0.5" long and contain about 100 eggs, while building populations have 1.5" long egg masses containing up to 1000 eggs.